New research highlights the UK’s disregard for eye health. 55% of Brits would buy prescription glasses online, compared with only 35% who would use the internet to purchase pet medication. New research conducted by the Association of British Dispensing Opticians (ABDO) has identified a worrying lack of concern from the British public when it comes to eye care. 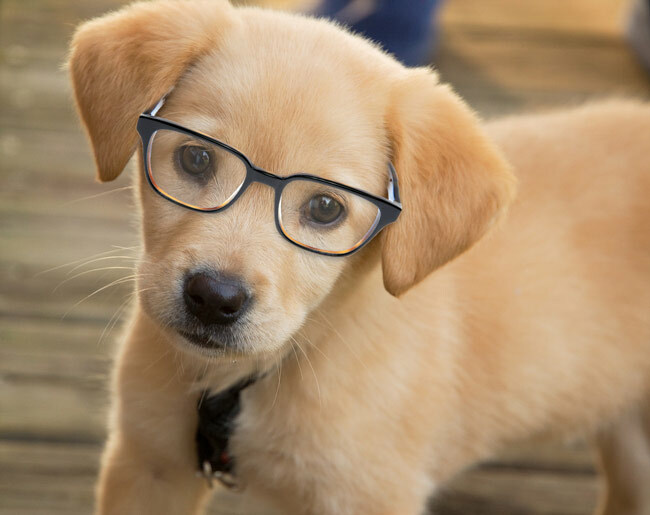 The study of over 2,000 UK respondents, found that more than half (55%) of those asked were willing to purchase prescription glasses online, compared with only 35% who would consider purchasing pet medication on the internet. This suggests we British don’t take our eye health as seriously as we should, valuing their pet’s health over their own eye health. “While buying specs online can appear attractive, it’s not that simple. The quality of the frames and lenses you purchase can vary tremendously, the frame not only has to be a style you like, it also has to fit your face. How and where it sits on your nose is important for both comfort and vision. If the frame sits too close or far away from your eyes the best visual correction won’t be obtained. Likewise, if it sits too high or low and the curvature and angle of the front are wrong this can affect your vision. The research also highlighted how many UK adults are choosing not to wear glasses, even when they know they need them. A quarter of us (25%) have prescription glasses but admit to not wearing them as much as they should, while 17% of respondents have been told by a professional they need glasses, but don’t have them.